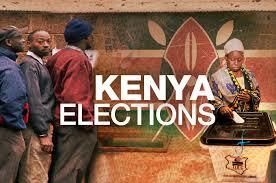 Kenyans go to the polls on August 8th to elect their President, Governors, Senators, Members of the National Assembly and County Assemblies across the 47 counties in the economic powerhouse of the East Africa region. The stakes are so high in this year’s general elections which come up after every five-year cycle and particularly coming at a time when the devolved system of government ushered in by promulgation of the new constitution in 2010 and properly implemented after 2013 polls, has begun trickling its effects across the country. The centerpiece of these polls is in the presidential race which pits incumbent and scion of Kenya’s founding President, Uhuru Kenyatta against veteran opposition chief, son of Kenya’s first Vice-President and former Prime Minister, Raila Odinga and six other candidates. On this backdrop, questions are bound on the role that young persons will play in determining the outcome of these elections. Kenya’s population is approximated at 48 million with the youth forming the biggest chunk at over 70% of the demographic, thus the role of young people cannot be underestimated. Statistics by the electoral management agency, Independent Boundaries and Electoral Commission, show that more than five million new voters have been added to the existing voters list to make up the over 19 million Kenyans whose voice will be heard in next week’s polls. It is no doubt that nearly all of the new voters are young persons aged between 18 and 22 who will be exercising their voting rights for the first time. Overall, the youth make up more than half the estimated 19 million eligible voters and this translates to the fact that they will, more or less, have the final say on who becomes Kenya’s President for the next five years. The main issues that have characterized the campaigns by the united opposition fronting Mr. Odinga revolve around inflation, the surging cost of living, rising prices of food and basic commodities, Kenya’s escalating debt levels and rampant corruption in government departments during the first term of the Uhuru Kenyatta’s Jubilee administration. President Kenyatta is, on the other hand, ridding on the development track record of his administration, investments in infrastructure, reduction in the cost of doing business, streamlining of government services to citizens and a promise to complete on the initiatives introduced during his first term in office. It is worthy to note that historically ethnicity and tribal alliances have shaped the outcomes of not just the presidential elections, but also in competitions in the other positions, and the 2013’s polls were no exception. Which begs the question, are the youth likely to change this? Traditionally, voting along ethnic affiliation has been the case particularly with highly charged elections such as this one. The net effect is what can be seen as “political marginalization” of ethnic communities outside the ruling band. And just like in a good number of African nations, the politicization of ethnicity has, historically, not done much good to Kenya as far as the institutionalization of democracy and the rule of law is concerned particularly with the emerging economy that it is. Looking at the manner in which campaign rhetoric has played out this year coupled with the unprecedented growth in digital communication in political activism, the voice of young person’s in determining the outcome of these elections is slowly but surely taking shape; away from the traditional ethnic approach to a more issue based style. Both leading candidates are not taking any chances and have strived to endear themselves to young voters using varied means led by customized online campaigns targeting the youth, outreaches, and personalized messaging. Like would be expected, social media has revolutionized the campaigns and is definitely playing a bigger role than in past elections. Mainstream media have even adopted the use of social media live feed using Facebook and Twitter to reach more citizens. Be that as it may, issue-based decision-making among young voters will likely take root in the elections for the 5 seats of the County Governor, Senator, Member of National Assembly, County Women Representative and members of the 47 County Assemblies as compared to that of the presidency. This is attributed to the realization by the masses of the sheer ability of the devolved system of government to transform and influence development and progress at the regional levels. A majority of Kenyan youths are also strongly rallying behind and even materially supporting youthful candidates contesting in these positions. We can conclusively predict that we are likely to have the highest representation of elected young persons in Kenya’s history particularly in the National and County assemblies. Part of the intentions of Kenya’s constitution promulgated in 2010 was to “dilute” and spread out the massive executive powers that the presidency previously bestowed on the bearer and this has actually been achieved by several checks and balances mechanisms the constitution presents. 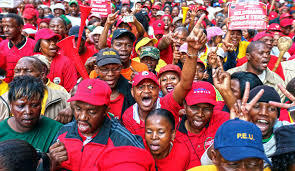 However, has the country’s history and circumstances have had it, so much premium is still attached to the position if the levels of ethnic mobilization are anything to go by. Despite the gains and progress made, we are likely to see young people, just like the rest of the voting demographic, being swayed more by party affiliations and ethnic bearing while casting their ballots come 8th August. The writer is a Lawyer based in Nairobi and the National Coordinator of Youth Senate Kenya.